The master bedroom of a home can tell you a lot about the homeowners. In essence, the master bedroom is the home of the house. 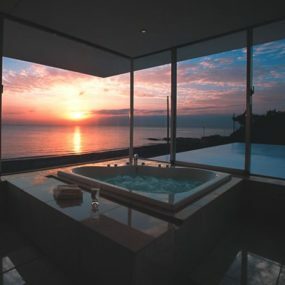 It is where you get to unwind, relax and truly be yourself. Therefore, it can be one of the hardest areas in the home to design as there can be multiple different elements that you need to take into consideration. You want your master bedroom to feel calming and cozy while still feeling personal and unique to your style. We have put together our favorite homes and taken design ideas from them to share with you 10 master bedroom design ideas we think you will love as much as we do. This home features floor to ceiling bookshelves that we personally love. 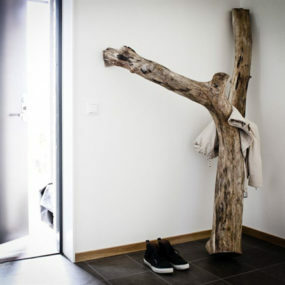 They are a great way to add storage to a master bedroom without adding clutter. The shelves also double as an eye catching focal point that frames the bed. Therefore, the bed becomes the main focus point in the bedroom. We love the idea of having the bed become the focal point in the room this makes the room appear larger than what it is and more visually appealing. 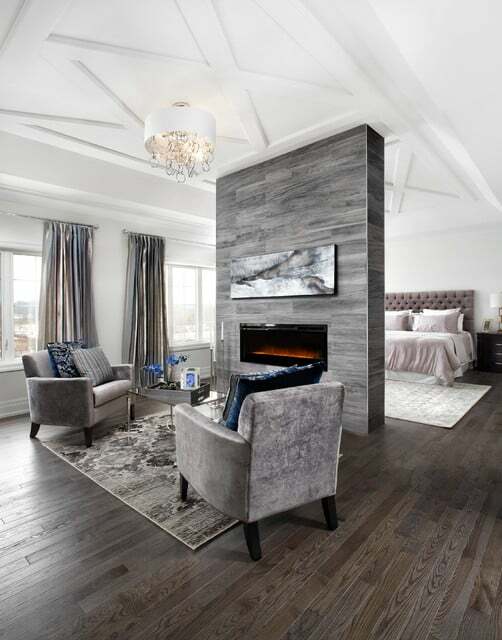 This master bedroom features the epitome of what a contemporary bedroom should look like. It is fun and filled with personality without being overpowering, which is exactly what you want if you are trying to achieve a contemporary look to your master bedroom. We love the idea of different colors, shapes, and textures everywhere in the room including the walls. There’s just something so modern about this bedroom. All the colors mesh well together, which we think is very important when it comes to a contemporary themed bedroom. 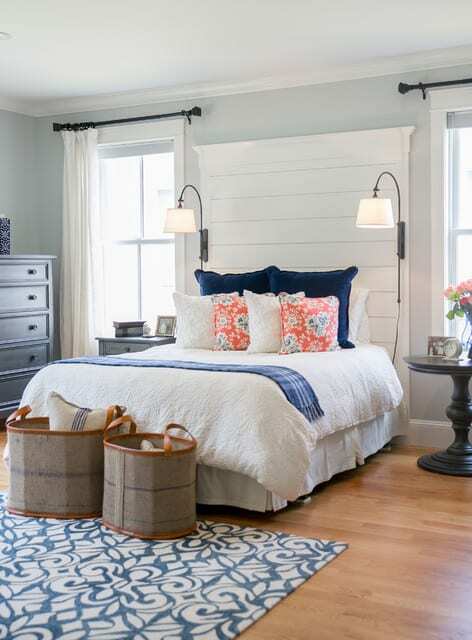 Featuring a beach theme this master bedroom showcases what a theme can do to a bedroom. The bedroom does not scream beach theme instead it gives a subtle yet chic look at what a beach theme with a twist would be. 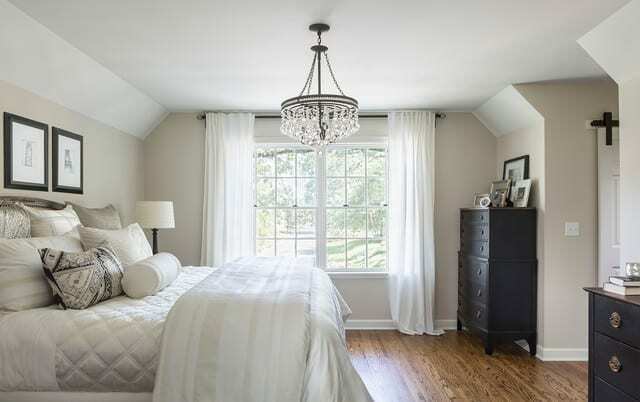 We love master bedrooms that have a theme that is close to the homeowner’s heart. It makes the master bedroom feel more personal as well as let’s not forget having a theme for your master bedroom can make it a lot easier to design. An expansive master bedroom, is when the master bedroom is a bit larger than the norm. 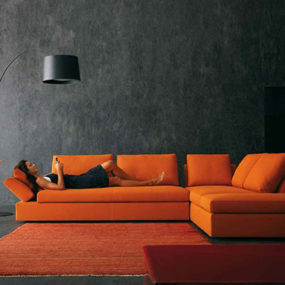 This allows you to be able to expand on the bedroom and add a seating area or even a fireplace like the picture above. We love that although this bedroom does feature an expansive décor it remains traditional. This home features undeniable elegance. It has a clean and crisp outline which we think is perfect for a master bedroom. It also features minimal colors which provide the upscale elegance that it portrays. We love the idea of having minimal colors in a master bedroom in order to create an aura of elegance and peace. This master bedroom has a beautiful bold color as its focal point while everything else remains neutral. We love the idea of using bold, vivid colors that will stand out in a master bedroom. 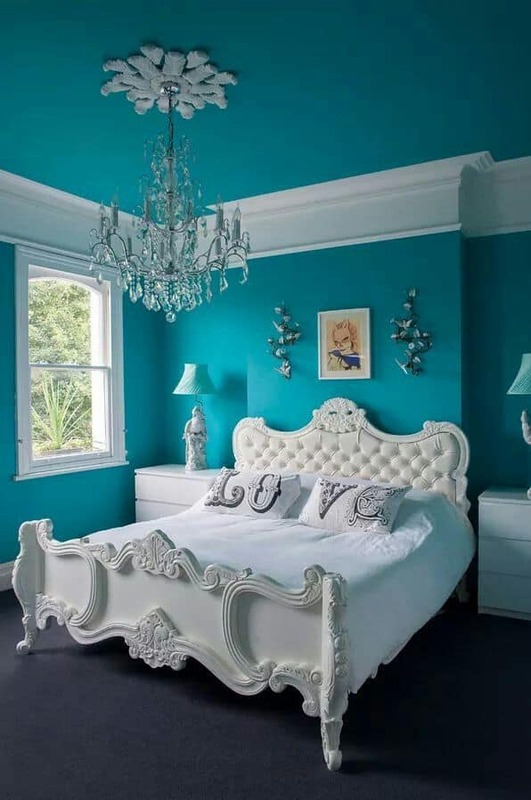 You can choose to paint your walls a bold color or you can use accessories that bring color into your bedroom. Features an eccentric take on a modern master bedroom, there is no headboard or much décor. Instead, there is just deco and shelves with unique lamps that put the entire look together. 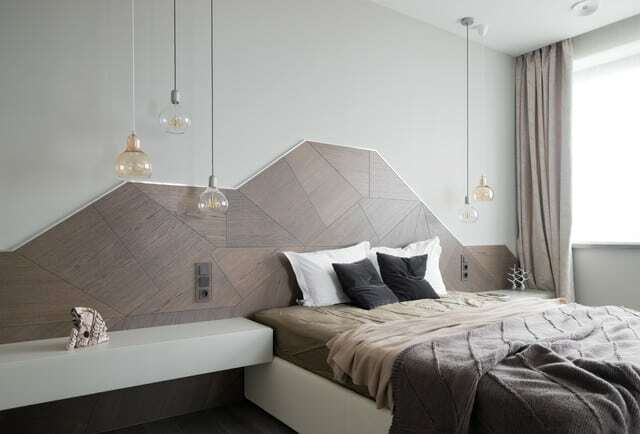 We love the idea of adding a modern twist to any bedroom. Most beds feature a headboard. However, this one has completely removed the headboard and instead added a mosaic décor behind the bed. 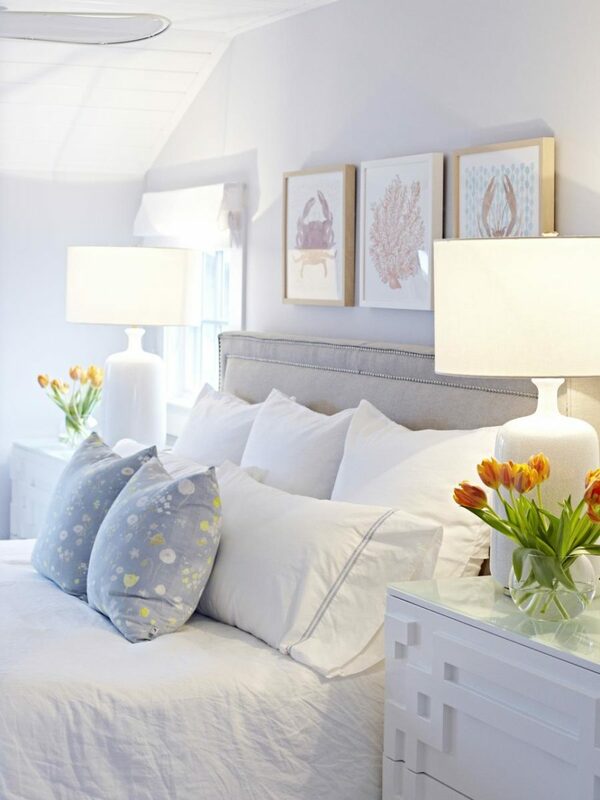 In this master bedroom, you will notice perfect symmetry. Symmetry is very common in traditional bedrooms. This particular bedroom showcases exactly how to achieve symmetry perfectly. There is an exact copy of every item on both sides which gives the bedroom symmetry without being monotone. We love the idea of having a cohesive design throughout the entire bedroom in a symmetrical manner. This can be done by creating a replica on each side of the bedroom. Wallpaper isn’t as popular as it once was but it is making a huge comeback. This master bedroom features a patterned wallpaper which we think gives the master bedroom personality. We love the idea of having a print or pattern wallpaper become the main theme in a master bedroom. It gives the room character without the need of having multiple different decorative aspects to fill in the room. 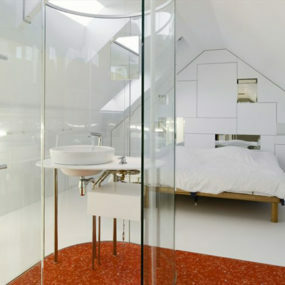 Many bedrooms are made up of multiple different colors. However, this bedroom features one solid color and we happen to love it. From the walls, all the way down to the carpet. This room is one solid color. However, the color is broken down by choosing different shades of gray instead of one gray one everywhere. We love the idea of using only one shade for a bedroom, but breaking it down into by using different shades and variations of it. This décor idea is better suited when you use neutral tones instead of bright colors. Your bedroom should be your favorite part of your home as it is the most intimate and the most personal to you. Let us know below which design idea you want to try in your home.